Alice Waters is one of my culinary heroes (I guess technically, she’s a heroine), her laurels mostly resting on her superb and simple recipe for roast chicken. I found it in the early 1990’s in a cooking magazine that was full of complex, multi-step recipes involving asterisked ingredient lists with notes about where you could mail order all the unique things you would need to be a true gourmet home cook. Her recipe was the one thing I clipped from that magazine: so simple and to the point that I only referred to it once or twice before I had it memorized. I’ve served it dozens of times over the years, always to raves. I love simple cooking, and being so busy this year celebrating my newfound freedom and packing what remains of The Departed’s possessions, I didn’t have tons of time to make anything elaborate for my annual cookie exchange party in any case. I found Alice Waters’ recipe for Apple Jellies at the back of The Art of Simple Food , and it seemed ideal: Three ingredients, cooked on the stove. What could go wrong? Everything, it seems. The road to hell is paved with Apple Jellies. I cooked down the apples together with the water, ran them through a food mill, and then cooked the resulting pink puree down for an additional hour. I checked that it held a mounded shape before I stopped cooking. I spread the resulting thickened pink mass into a baking pan lined with parchment paper. 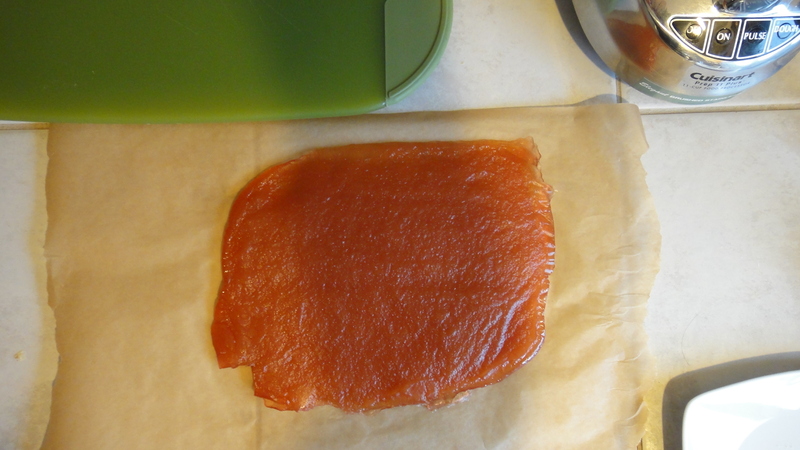 After letting it sit overnight where the cat – who apparently likes apples – couldn’t get at it, I inverted the mass onto a baking sheet lined with parchment paper, to let it dry a further 24 hours. The instructions seem to indicate it should be possible to cut it into squares at this point. It wasn’t, but the instructions helpfully tell you what to do if this happens: Stick the baking sheet into a 150-degree oven for an hour “or more” until you have a nice mass of jell that you can cut into squares that will stay that way. I let it set in such an oven for an hour. I tested it. I inverted it onto another baking sheet so the bottom could dry, and put it back into the oven. I tested it again, I inverted it again. I took it out of the oven when I went to bed, hoping it would be cuttable when I woke up the next day … which it wasn’t … so I started the process over again. At one point, I put the jell-that-wouldn’t in the oven, left the house to retrieve The Child from a slumber party, had a cup of coffee with the other parents, and returned home to find the jellies … still not jelled. Five hours in the oven later, they were sorta-kinda done. I tossed the squares in sugar and served them that day at my annual cookie party. The guests all liked them but agreed: these are not worth five hours of oven time. None of us could come up with anything that was worth five hours of oven time apart from, say, a Christmas ham. The next morning, I was sorting all the extra cookies into gift boxes, and there was my plate of apple jellies, sitting in a sort of syrup, which was tasty but not exactly appealing to look at. The jellies no longer sparkled with sugar, but glistened with ooze. I didn’t take a picture, because I like you and no one should have to look at that, unless they buy a ticket to see The Blob with a complete understanding of what they’re getting into. I’m providing the recipe in case you’re feeling intrepid and or perhaps can see where I might have gone wrong. Maybe cameo apples were a bad idea. Maybe my climate is too moist to begin with. Or maybe … you have some idea? Update: I tried the recipe again and found the problem. Lightly oil an 8x8 baking dish with flavorless vegetable oil. Line the dish with parchment paper and lightly oil the paper. In a large heavy pot, cook apples and water, covered, until apples are soft, about 20 minutes. Return the puree to the pot and add sugar and lemon juice. Simmer over low heat, stirring often, about an hour. As the mixture cooks and reduces, it starts to bubble and thicken. Be careful of spattering. The puree is done when it holds a mounded shape (in theory). To be sure, briefly chill a small amount on a plate in the freezer. It should look and feel jelled. Spread the mixture evenly into the prepared dish. Cool for several hours or overnight. When completely cooled, invert onto a parchment lined baking sheet. Remove the top layer of parchment paper. Leave to dry uncovered overnight. The paste should be firm enough to cut. If not, put the paste into a 150 degree oven for an hour or more until firm. Maybe even five hours. Or more. 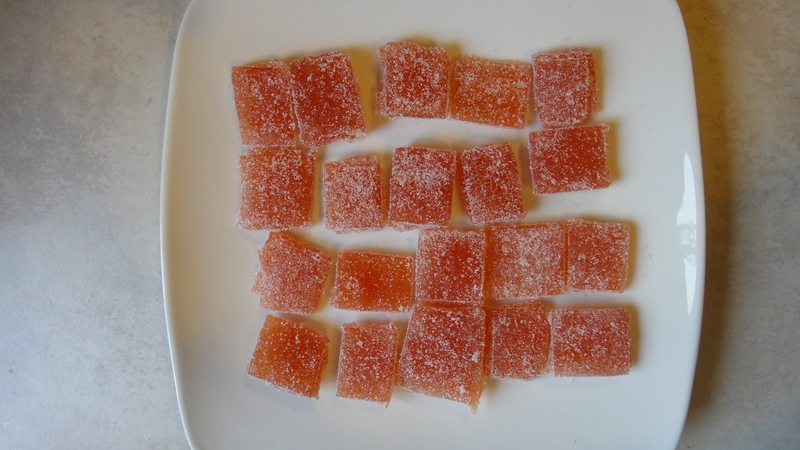 When it's done - if ever - cut the jellies into squares, toss with sugar, and admire how pretty they are, if only briefly. When I say be careful of spattering, I'm serious. This stuff gets HOT and spatters a LOT. It's just really uncooperative, if not downright mean. I give you credit for sticking with it all the way through to the end; I would have given up long before. Thanks! I think my friends deserve the kudos for being brave enough to taste-test for me! Sorry these didn’t turn out, especially after all your effort! But thanks for posting about it since we can all learn from these “cautionary tales” just as much as from the glowing successes. jama recently posted..poetry friday roundup is here! Kudos to you for making these. I do love their taste. I have never tried making jellies. These look great. 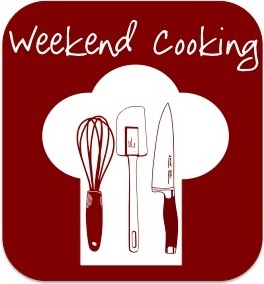 Peggy Ann recently posted..What’s Baking? To me that looks like a recipe for applesauce, although I usually leave the sugar out and just drizzle it with maple syrup if it’s not sweet enough. I don’t see anything there that I would expect to gel. Lottie & Doof – I know it well! It’s one of my favorite blogs (and probably how I originally got the idea for Apple Jellies). I actually have an idea where I may have gone wrong on this one. I’m going to test my theory and see if I’m correct. I love this idea of turning a kitchen fail into a blogging win. Sorry these didn’t turn out but I love the story. Thank you so much! The kitchen is always fun, even if things don’t work out.